This book turns on the television, opens the newspaper, goes to the cinema and assesses how punishment is performed in media culture, investigating the regimes of penal representation and how they may contribute to a populist and punitive criminological imagination. 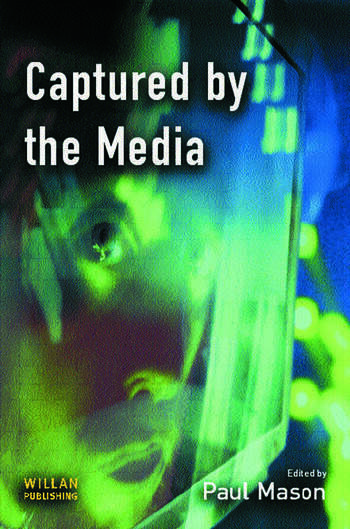 It places media discourse in prisons firmly within the arena of penal policy and public opinion, suggesting that while Bad Girls, The Shawshank Redemption, internet jail cams, advertising and debates about televising executions continue to ebb and flow in contemporary culture, the persistence of this spectacle of punishment - its contested meaning and its politics of representation - demands investigation. Alongside chapters addressing the construction of popular images of prison and the death penalty in television and film, Captured by the Media also has contributions from prison reform groups and prison practitioners which discuss forms of media intervention in penal debate. This book provides a highly readable exploration of media discourse on prisons and punishment, and its relationship to public attitudes and government penal policy. At the same time it engages with the 'cultural turn' within criminology and offers an original contribution to discussion of the relationship between prison, public and the state. It will be essential reading for students in both media studies and criminology as well as practitioners and commentators in these fields.